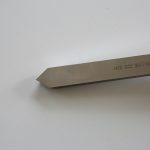 This scraper is sharpened to a 33/66 degree angle. 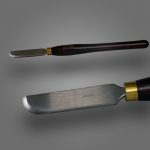 Made from high speed steel and measures ¼” thickness X ¾” wide. 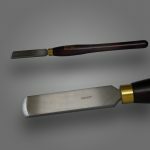 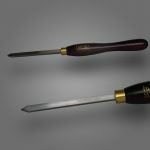 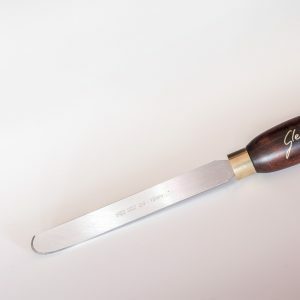 It is one of the safest, user friendly scrapers that you can use. 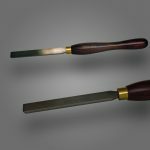 It will refine a small radius internal curve of a bowl or platter. Made by Hamlet in Sheffield to my specifications it is a firm favourite with students in my class room.